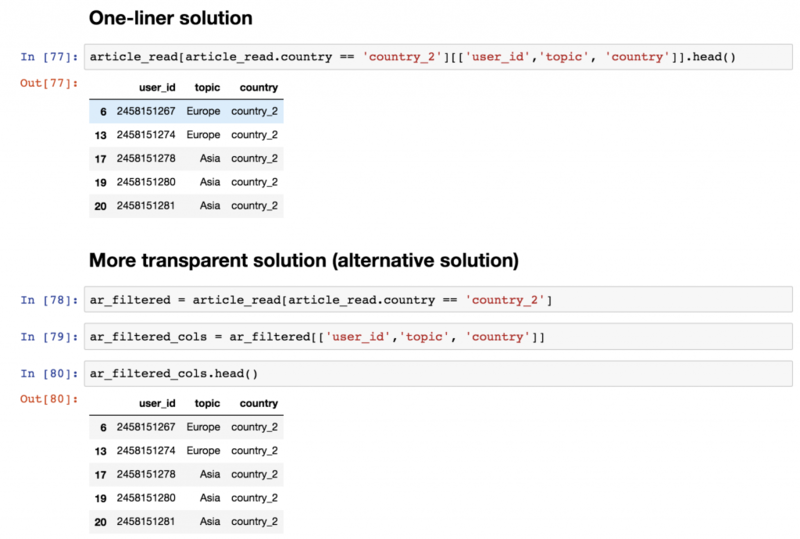 Pandas is one of the most popular Python libraries for Data Science and Analytics. I like to say it’s the “SQL of Python.” Why? 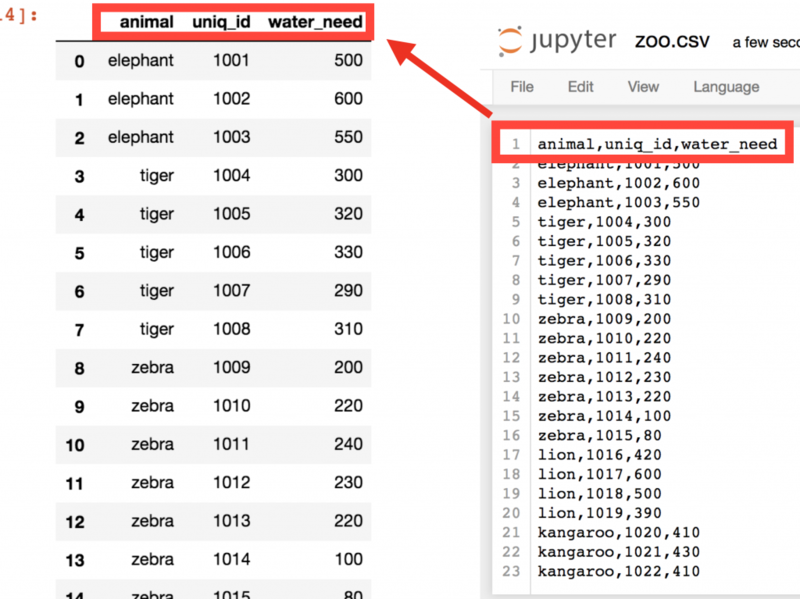 Because pandas helps you to manage two-dimensional data tables in Python. Of course, it has many more features. In this pandas tutorial series, I’ll show you the most important (that is, the most often used) things that you have to know as an Analyst or a Data Scientist. This is the first episode and we will start from the basics! You will need a fully functioning data server with Python3, numpy and pandas on it. 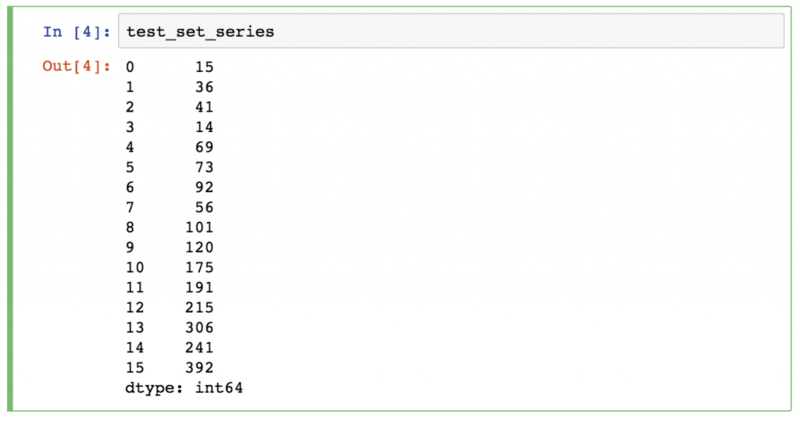 Note 1 : Again, with this tutorial you can set up your data server and Python3. And with this article you can set up numpy and pandas, too. Note 2: or take this step-by-step data server set up video course. Note: I’ll also rename my Jupyter Notebook to “pandas_tutorial_1”. Note: It’s conventional to refer to ‘pandas’ as ‘pd’. When you add the as pd at the end of your import statement, your Jupyter Notebook understands that from this point on every time you type pd, you are actually referring to the pandas library. Okay, now we have everything! Let’s start with this pandas tutorial! You might have your data in .csv files or SQL tables. Maybe Excel files. Or .tsv files. Or something else. But the goal is the same in all cases. If you want to analyze that data using pandas, the first step will be to read it into a data structure that’s compatible with pandas. There are two types of data structures in pandas: Series and DataFrames. Series: a pandas Series is a one dimensional data structure (“a one dimensional ndarray”) that can store values — and for every value it holds a unique index, too. DataFrame: a pandas DataFrame is a two (or more) dimensional data structure – basically a table with rows and columns. The columns have names and the rows have indexes. In this pandas tutorial, I’ll focus mostly on DataFrames. The reason is simple: most of the analytical methods I will talk about will make more sense in a 2D datatable than in a 1D array. Okay, time to put things into practice! Let’s load a .csv data file into pandas! There is a function for it, called read_csv(). … and then rename this text file to zoo.csv! Okay, this is our .csv file. Now, go back to your Jupyter Notebook (that I named ‘pandas_tutorial_1’) and open this freshly created .csv file in it! And there you go! This is the zoo.csv data file, brought to pandas. This nice 2D table? Well, this is a pandas dataframe. The numbers on the left are the indexes. And the column names on the top are picked up from the first row of our zoo.csv file. To be honest, though, you will probably never create a .csv data file for yourself, like we just did… you will use pre-existing data files. So you have to learn how to download .csv files to your server! If you click the link, the data file will be downloaded to your computer. But you don’t want to download this data file to your computer, right? You want to download it to your server and then load it to your Jupyter Notebook. It only takes two steps. …you can even check out the data in it. The data is loaded into pandas! Does something feel off? Yes, this time we didn’t have a header in our csv file, so we have to set it up manually! Add the names parameter to your function! And with that, we finally loaded our .csv data into a pandas dataframe! Note 1: Just so you know, there is an alternative method. (I don’t prefer it though.) You can load the .csv data using the URL directly. In this case the data won’t be downloaded to your data server. Note 2: If you are wondering what’s in this data set – this is the data log of a travel blog. This is a log of one day only (if you are a JDS course participant, you will get much more of this data set on the last week of the course ;-)). I guess the names of the columns are fairly self-explanatory. This is the first episode of this pandas tutorial series, so let’s start with a few very basic data selection methods – and in the next episodes we will go deeper! The most basic method is to print your whole data frame to your screen. Of course, you don’t have to run the pd.read_csv() function again and again and again. Just store its output the first time you run it! After that, you can call this article_read value anytime to print your DataFrame! This one is a bit tricky! Let’s say you want to print the ‘country’ and the ‘user_id’ columns only. Any guesses why we have to use double bracket frames? It seems a bit over-complicated, I admit, but maybe this will help you remember: the outer bracket frames tell pandas that you want to select columns, and the inner brackets are for the list (remember? Python lists go between bracket frames) of the column names. This is the DataFrame of your selected columns. If the previous one was a bit tricky, this one will be really tricky! STEP 1) First, between the bracket frames it evaluates every line: is the article_read.source column’s value 'SEO' or not? The results are boolean values (True or False). STEP 2) Then from the article_read table, it prints every row where this value is True and doesn’t print any row where it’s False. It’s very important to understand that pandas’s logic is very linear (compared to SQL, for instance). So if you apply a function, you can always apply another one on it. In this case, the input of the latter function will always be the output of the previous function. This line first selects the first 5 rows of our data set. 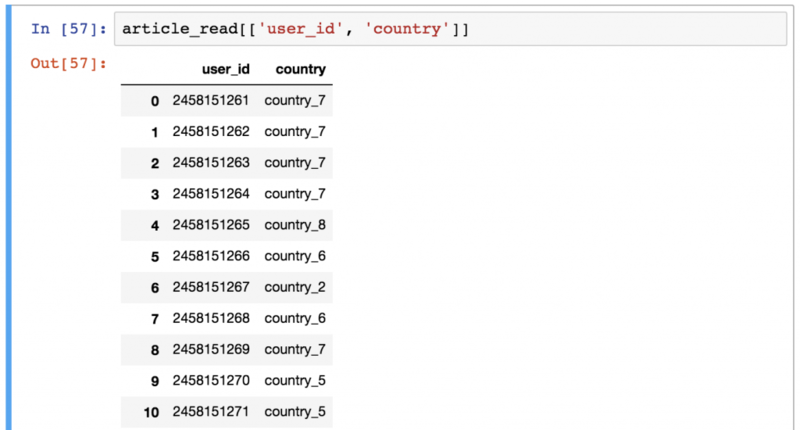 And then it takes only the ‘country’ and the ‘user_id’ columns. In this version, you select the columns first, then take the first five rows. The result is the same – the order of the functions (and the execution) is different. This will work, too – only it’s ugly (and inefficient). But it’s really important that you understand that working with pandas is nothing but applying the right functions and methods, one by one. As always, here’s a short assignment to test yourself! Solve it, so the content of this article can sink in better! Select the user_id, the country and the topic columns for the users who are from country_2! Print the first five rows only! Okay, go ahead and solve it! Either way, the logic is the same. 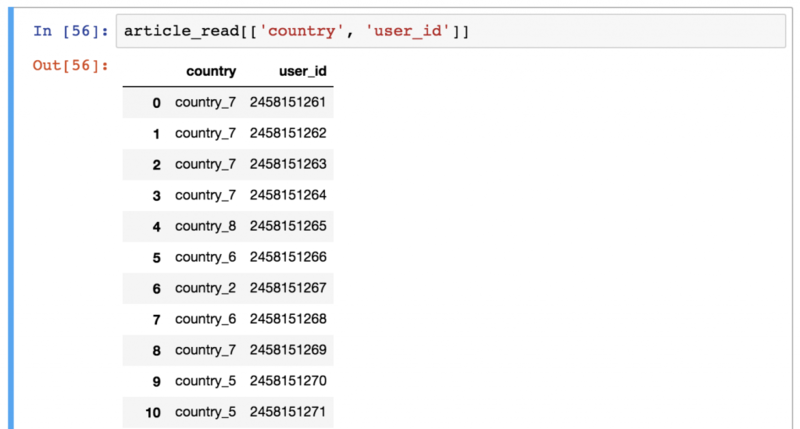 First you take your original dataframe (article_read), then you filter for the rows where the country value is country_2 ([article_read.country == 'country_2']), then you take the three columns that were required ([['user_id','topic', 'country']]) and eventually you take the first five rows only (.head()). You are done with the first episode of my pandas tutorial series! Great job! In the next article, you can learn more about the different aggregation methods (e.g. sum, mean, max, min) and about grouping (so basically about segmentation). Stay with me: Pandas Tutorial, Episode 2! as sames as sql notation SELECT [field] FROM [table] WHERE [filter]. Just curious, because my background as SQL developer and i’m little bit confusing about pandas syntax. well, the logic in pandas is more linear than in SQL (it’s more “inside-out” in SQL). Actually, both version will work fine. Excellent tutorial. I am just starting with pandas. Really loved the way you even showed more possible combinations even after getting the job done. These are the curious bits which really help a new learner and gives them the confidence to explore more.